It’s tough getting to the end of the regular season. If you’re a fan of an AFC team and your team hasn’t made the playoffs, you’re watching this weekend to see if your team ends on a high-note or with a high draft pick. For fans of NFC teams, this weekend revolves around Washington-Dallas, which is pretty much everyone’s nightmare. Or perhaps you’re a fan of raging garbage fires and are interested in seeing if the flames coming out of Ralph Wilson Stadium will reach the upper atmosphere. In some ways though, a lazy Week 17 is a relief. Fantasy football is pretty much done aside of pick’em leagues and poorly run leagues which have their championship this weekend, so there isn’t the stress of starting Matt Ryan over RG III up until kickoff. There’s also something to be said for just watching Oakland-San Diego and seeing what shakes loose instead of Bengals-Ravens or Texans-Colts, four teams playing to avoid injury while not giving away their playoff playbooks. 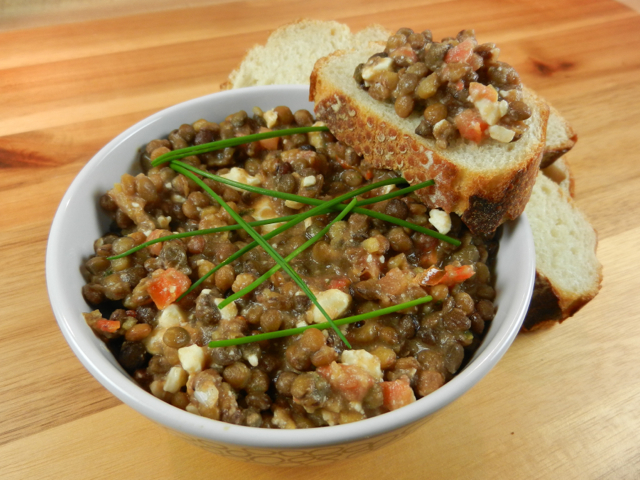 Full post and recipe for Warm Lentil Crostini is up over at KSK. Happy Week 17 everybody!